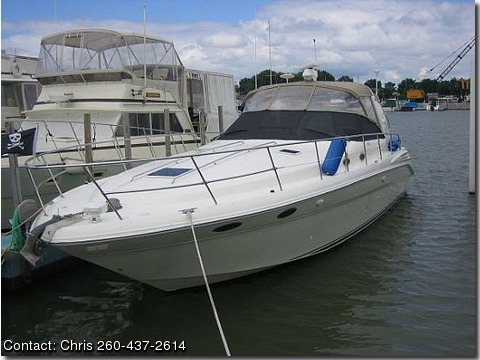 This Sea Ray will sleep 2 in the master stateroom, 2 in the aft cabin, and 2 on the convertible salon sofa. She also features an aft head. The cockpit will seat a small crowd.